SO MUCH TO OFFER IN THIS SPECTACULAR HOME including elevator allowing for easy accessibility. Magnificent chef's kitchen w/granite island & counters, double dishwashers & ovens lead to a breathtaking 3 seasons rm w/box beamed ceiling, fireplace, w/ electronic screens that walks out to an outdoor kitchen. Impressive 2 sty entry, liv rm, din rm & hearth rm w/fireplace & hardwd floors. Luxurious master has wood floors & spa like master bath, granite counters, stone floors, 2 huge walk-in closets & zero entry shower. South on Mission Rd - West on 127th St - South on Glenfield Rd - Home is on the right. 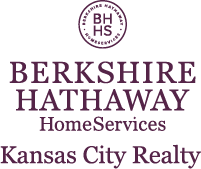 I am interested in 12804 Glenfield Road, Leawood, KS 66209.